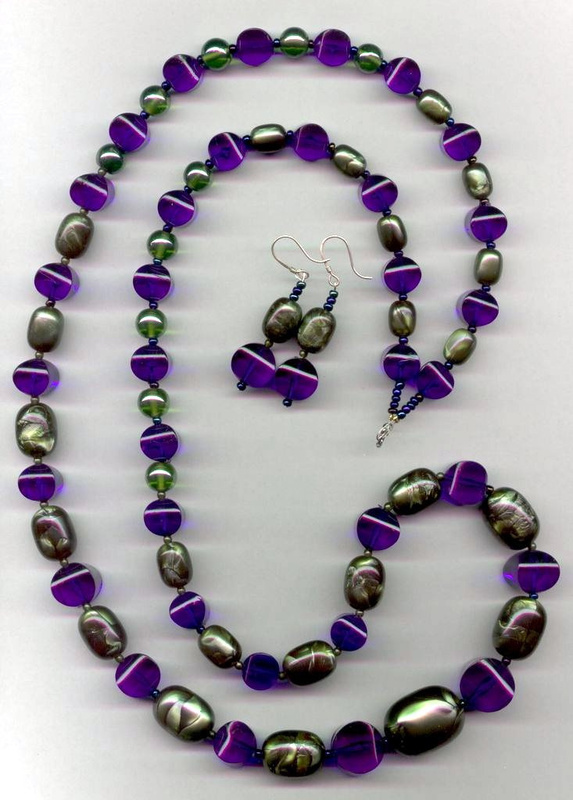 Necklace, with matching earrings. This one was cannibalized from two different necklaces, one blue, one green. The scan doesn't quite get the colours right -- the blue isn't so purple, and the green is greener, but you get an idea, anyway.